AHS provides comprehensive matting solutions to suit your business. 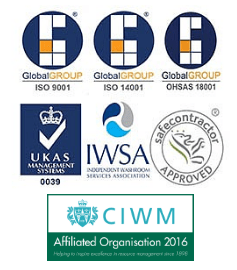 They help to protect and prolong the life of your flooring, prevent the risk of trips and slips, and provide a comfortable working environment. Whether you’re looking for mats for your reception, food prep areas, workshop, corridors or showrooms, we have the solution to suit your every need. We also offer bespoke Indoor and Outdoor Logo Mats that you can design yourself. Choose from over 40 colours to create the perfect mat that suits your business. These mats are perfect if your employees spend a lot of time standing, such as at supermarket counters or workstations. They help to prevent fatigue, backache and swollen joints with small cushioned air domes to encourage foot movements and stimulate blood circulation. This promotes better posture whilst helping to reduce lower back and leg discomfort. Anti-fatigue mats in your workplace can provide a more comfortable environment, which in turn improves motivation, concentration, and efficiency. Sizes: 85 x 140, 85 x 300, 110 x 170cm. This multi-purpose rubber mat is best suited for industrial and specialised applications due to its unique features. It is anti-fatigue and oil resistant with moulded face cleats that scrape shoes clean. The ramped edges with containment borders make it easy for trolleys and cages to be easily transported over the mats as well as keeping the dirt at the door. Sizes: 85 x 150, 85 x 300, 115 x 175cm. If you work in a particularly wet environment such as a leisure centre, these mats are ideal. They are oil and chemical resistant with drainage holes to make your working environment safer. The rubber material also eases the pressure on your feet, legs, and joints. They have built-in anti-bacterial agents to stop the growth of mould and bacteria, such as E-coli and Staphylococcus Aureus, keeping floors hygienic and safe. Cushioning helps prevent impact breakage. 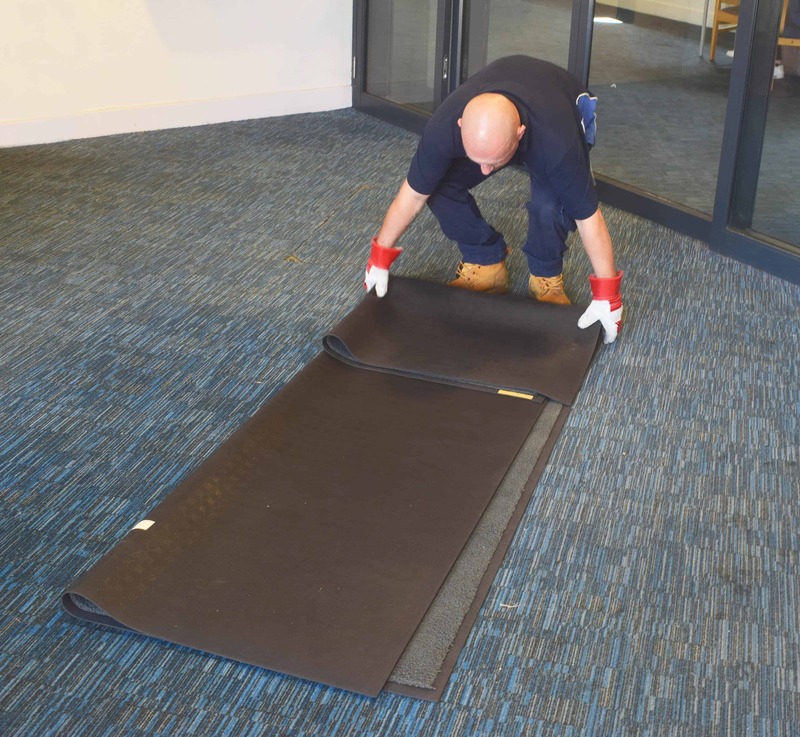 We also have water cooler mats shaped to fit around any water cooler or similar appliance, providing protection in areas where liquid spills are frequent. Loose cables can be a hazard, but these mats are designed with recesses to keep cables and wires securely in place. The eye-catching border provides a visual warning to employees, helping to reduce slip and trip hazards. We provide a laundering service for all of the above mats.